Health in Tenerife by Vitamin D according to Clinica ArteDental. Health in Tenerife by Vitamin D according to Clinica ArteDental and more. Health in Tenerife regarding the sun Vitamin had been the last thing on my mind, a while ago. 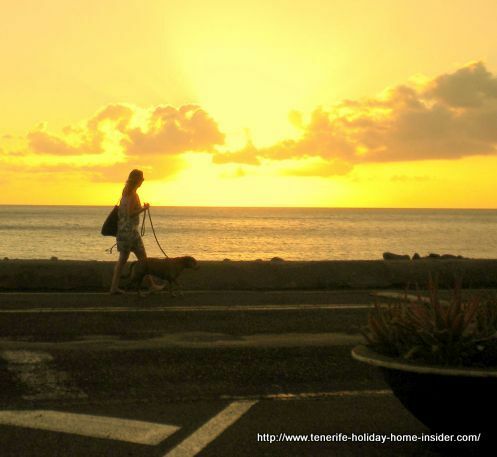 Tenerife sun setting for happiness but Vitamin D beneficial on the other side of the globe. That was when I went to see Clinica ArteDental. It is beside Lidl on the other side of the TF 5 freeway opposite Alcampo the biggest commercial center by Puerto de la Cruz. Centro de Negocios Pedra Redonda L.
ArteDental about much more than dental health care. I must confess that I should have worshipped this goddess of health much more in the last years. The director of the clinic Dr.Cubillo himself went to great length to assist me. He explained the possibilities for correcting my teeth where some implants were of special interest to me. However, a blood analysis had to help to avoid any premature works. The most important criteria to test were the blood in general as well as its content of sun vitamin D and Cholesterol. Naturally, I was mainly concerned about my teeth and skeletal health, as I am not exactly young any more. The vitamin that is vital for strong bones. My blood test result showed a Vitamin D deficiency of 10 ng/ml. Recommended values would be between 30 and 100 ng/ml, Everything above 100 ng/ml is regarded as toxic, though. How correct a sun Vitamin short-coming in the blood? Take prescribed amount of drops or tablets of Vitamin D.
Life style for dental and bone health in Tenerife. Health in Tenerife obviously on a man's mind who protects his head in the sun. Dr. Cubillo pointed out a very low Vitamin D shortage by Tenerife women that work daily in the fields. Mostly, you see them during frequent breaks with their legs exposed below the knees to catch the sun. Of course in the end, even the elderly score much more than 15 minutes of vitamin D that way until the end of the day. The women know that a slightly reddish skin is the warning by the sun to get out of her way for a while. They all have heard from relatives or by watching television about skin diseases through overexposure to the ultraviolet rays of the sun. To the contrary, taking too high a dose of supplements from the chemist is much more possible and will be toxic. Mind, the female farm workers also tend to wear a traditional hat similar to that of the man in the photo above. 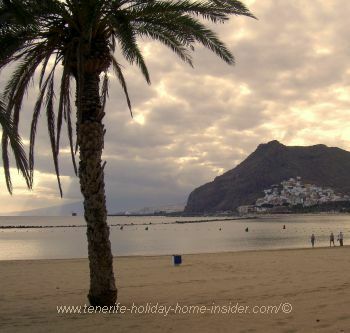 Altitudes, the ocean and sea shores to mind health in Tenerife. Clouds and a beach palm or two are never enough protection against sun burn and eventual skin cancer. By the way, the ultra violet beams of the Tenerife sun are not only extra powerful by Mount Teide. That concerns Spain's highest peak with or without snow. The Guanche natives of Tenerife had more than respect for the warm rays that kiss our skins from above. That's why they built step pyramids near the costs where they face the sun. Baby and children health benefits by the sun. Talk to your medical practitioner about the best time to expose your babies or children to the sun. In fact, Dr. Cubillo seems to have found the optimum solution to take children to beaches. By the way, sun blockers hinder any natural forming of vitamin D by humans and all mammals. It's not good enough if your cat likes to lie in the warm sun on a window sill behind glass. It needs to catch it outside, unless it's a white cat in Tenerife. Then, it must be strictly monitored. A healthy mind in Tenerife. Other locations to safeguard your Tenerife health. The nearby El Socorro beach of Los Realejos where sports for young and old are high on the agenda. Walking in Tenerife in its National Park and coastal Ramblas for healthy lungs and a sound heart. Vitamin D for health in Tenerife to avoid cancer. No real proof exists that Vitamin D plays the primary role to prevent vicious cancer. My late husband had Pancreatic Metastasis. At one stage, his personal physician for nutrition pointed out the need for Vitamins and Minerals with Vitamin B17 being the most important of all. Hot tip for best place to buy Vitamin D in Puerto de la Cruz is the health shop Sanct Bernhard in Calle La Hoya,58. You may also be interested in "the red tape" and more that involves healthcare of Spain where Tenerife is a province. From health in Tenerife back to retirement advice. Perhaps you want to research a book article I found where Chilomicrons are said to play a role together with Vitamin D binding hormones.